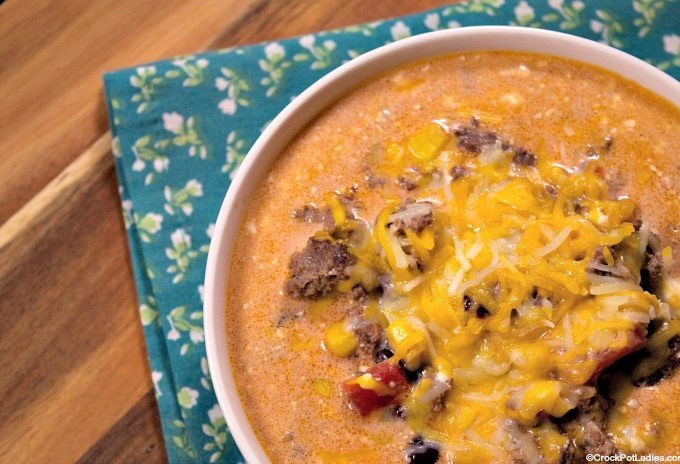 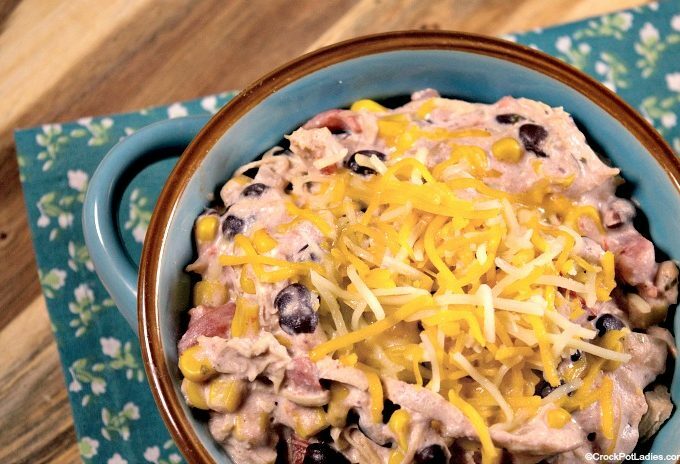 Dig into a bowl of this delicious Crock-Pot Creamy Southwest Taco Soup! 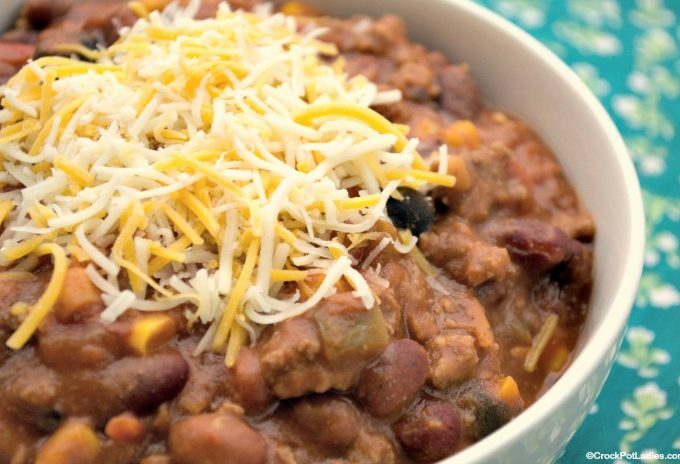 A smooth, tangy recipe loaded with beans, ground beef, tomatoes, cheese & cream. 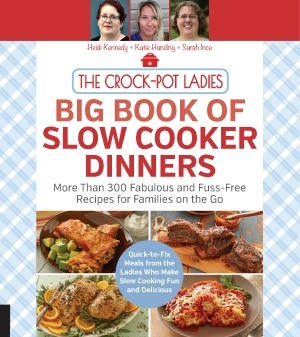 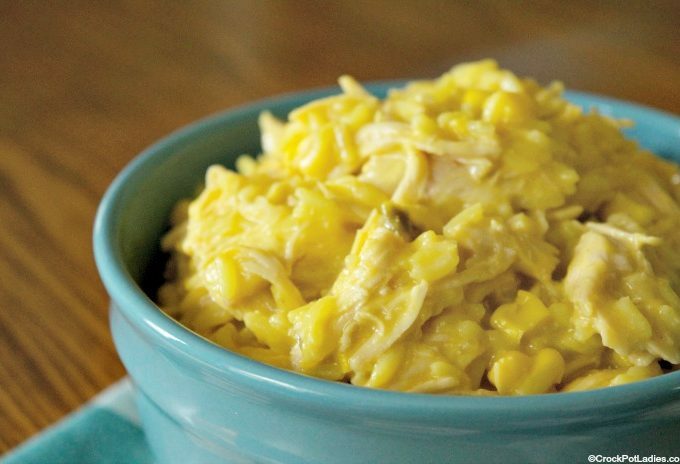 A fun family-friendly meal, this recipe for Crock-Pot Cheesy Chicken and Rice is perfect for dinner or even taking to a potluck or party!